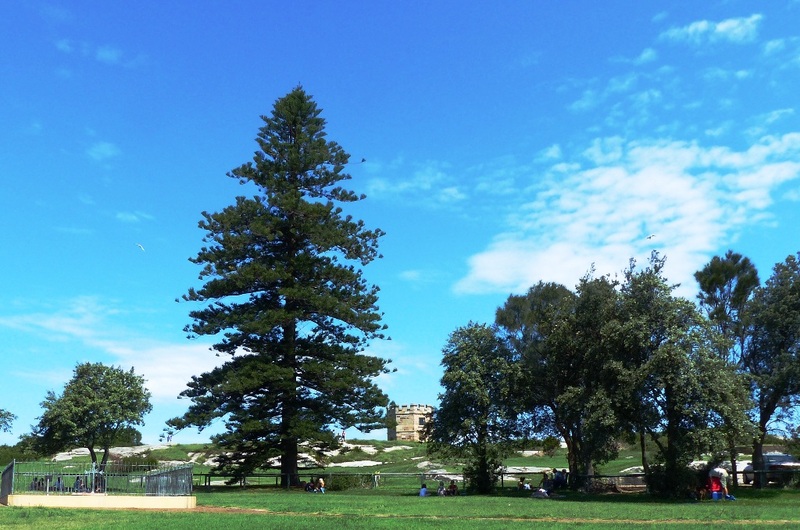 Norfolk Pine La Perouse – Randwick’s oldest cultivated tree? In the 1940s the tree lost its upper half to lightning strike. 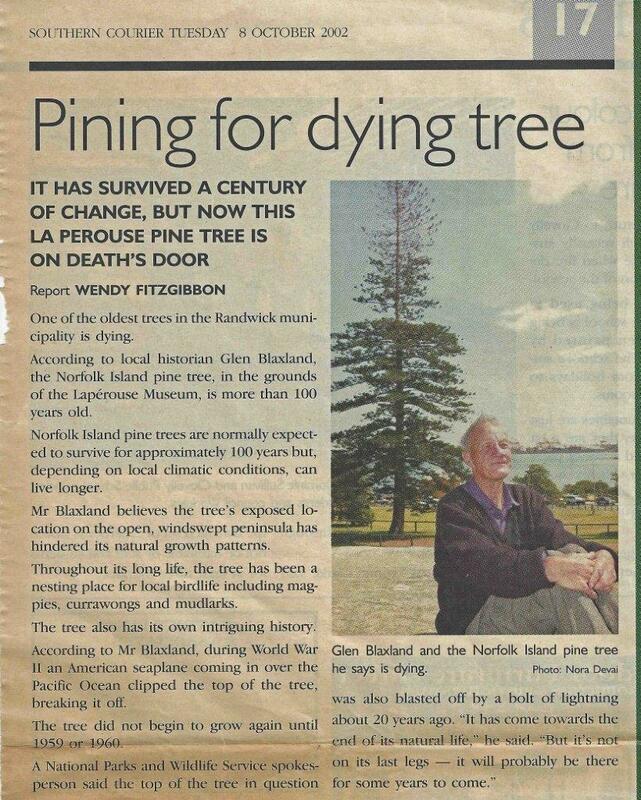 Around 14 years ago the dying apex of the tree’s crown was removed by arborists from the Royal Botanic Gardens. This allowed for rejuvenation (see photo above taken 2016 compared to photos below (L) taken 2006 and (R) 2002 along with local identity Glen Blaxland. 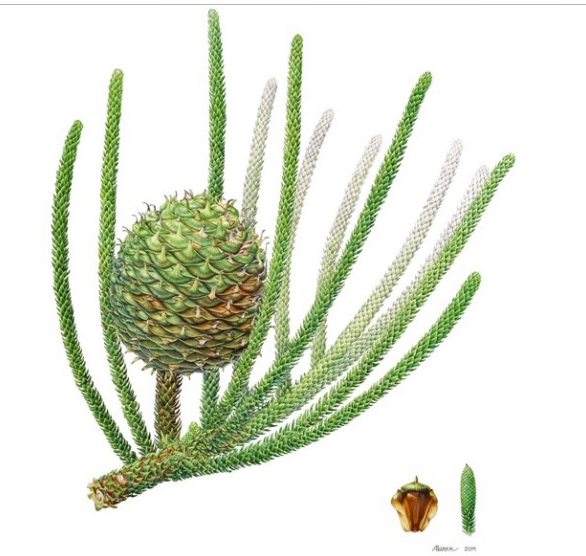 Norfolk Island pines were fashionable trees in the colony from its earliest years, when Governor Phillip planted one in the garden at first Government House, the site of today’s Museum of Sydney. In 1814 Dr D’Arcy Wentworth donated two trees from his farm at Homebush to Governor Macquarie. 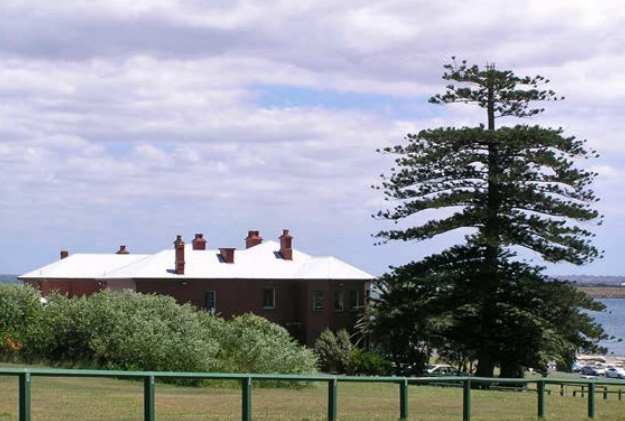 Location: Last remaining specimen of a group of five pines planted on the La Perouse headland (mulched garden within the lawn area adjacent to La Perouse Museum – formerly La Perouse Cable Station). Extent of Influence: Canopy is contained within these grounds. The root zone is likely to extend to a similar or possibly larger area of influence. years ago, this ageing pine continues to be in reasonably good condition and health with a dense canopy. Notably, the tree has new apical growth. Management Recommendations: No immediate threats or problems are evident. The tree is well maintained within a mulched garden. For further detailed assessment of health, condition and tree management recommendations, a qualified arborist should be consulted. Endangered Ecological Community, Department of Environment and Conservation (NSW), March 2006). These significant bushland areas have been the subject of detailed investigation and documentation and are not included in this Register.